As Rangers new signing Sone Aluko looks to kick-start his Rangers career after a despicable diving incident, the Nigerian international appears to have shot himself in the foot again. The forward was banned for three matches following a clear dive to win Rangers a penalty (and ultimately the match) against Dunfermline; and was handed an opportunity to the media today to come clean and condemn his deception of the game’s officials. Instead of doing so, Aluko has brushed off the incident, and likened diving to other foul play or stoppages of play in the game (namely, offside decisions, handball incidents). He said: “Everyone has had an opinion. There were seven-page spreads and every ex-pro had this and that to say. 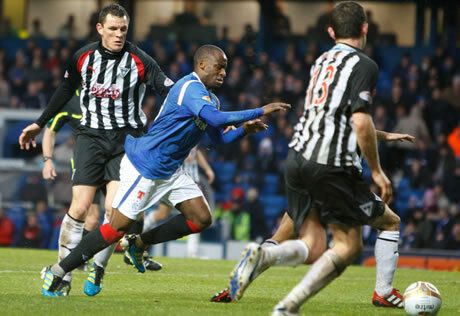 The correct thing to do would have been for Aluko to stop here. He’s committed a footballing felony, he’s served his punishment, and should now be free to press on with making a name for himself at the Ibrox club. However, Aluko continued on, defiantly absolving himself from any wrong-doing. Perhaps the increased media spotlight that comes with the move from Aberdeen to Rangers, coupled with the player’s inexperience could be to blame for these ludicrous comments, but either way, the club must issue a statement to counter Aluko’s opinions. Diving is in no way like being caught offside or touching the ball with your hand. If a player dives, they are trying to deceive the match officials to gain an advantage in the match. 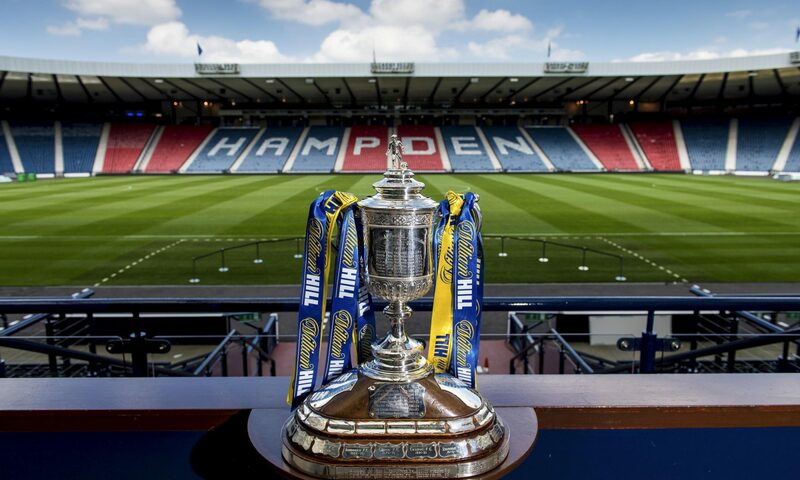 The case of the Rangers player is worse yet, as the simulation in question was the deciding factor in an SPL victory for the Glasgow club, providing three valuable points in a title race that is expected to go to the wire. Does the average Old Firm fan or SPL neutral want to see the championship be decided in such a way? – Clearly not. In a time of proposed reform for the Scottish game, when every aspect of it is under the microscope for scrutiny, this kind of attitude to diving is not acceptable. On a global level, diving (or ‘simulation’ to give it it’s euphemistic FIFA title) is regarded as one of the biggest problems in the modern game. Rangers, as with Celtic in the SPL, are huge clubs who’re leveled with the expectation to win with style, not by virtue of diving. Scottish football fans don’t want to pay to go and watch over-paid players diving to earn success in an unwholesome manner. The baton of responsibility is now passed to the Rangers officials, and the manager Ally McCoist to quash this moment of madness from Aluko. The time is now for the club, and the SPL as a unit to take a firm and unequivocal stance on diving in the game. Even as a Celtic fan, I don’t think Aluko needs condemned for his comments. When he said “I’ll keep playing in the same way. I’m not going to change because there is a new panel or whatever.” I don’t think he necessarily meant diving is part of his game, which is what people have inferred. We think players and fans don’t speak often enough, or aren’t honest and only speak in generalities. So one shouldn’t be condemned the minute he does speak his mind. Next PostNext Fraser Forster – Coming of age?